Life business is fun. It is already turning on its head in many markets with the mantra of not just protecting your family when you die, but letting you live longer healthily. Life is beyond just savings for death or life, critical illness, risk protection or investment income. It is about making new waves to enter the health arena too. Life insurers have been early embracers of disruptive technology. Today, they are leading the pack, empowering their beloved agency force with smart tools to make them better and more productive in upselling. Having hosted the Trusted Life Agents and Advisers Awards for two years now, AIR is just enamoured by the role that agents play in the lives of the ordinary people in the spirit of selling; they are the real face, touch and feel factor of the protection that life insurance offers. They are the truly unsung heroes of the life insurance business, and we have taken the cudgels on their behalf and are also launching a separate agents and advisers website to give them more visibility in insurance. We share this enthusiasm with the industry, as when we look around, the markets with the deepest life penetration have a good, strong, bright and smart agency forces! Life is ahead in the online space, with several digital insurers fast expanding. Likewise, on the bancassurance front, life products go beyond just credit insurance sales. Life insurers are taking steps to own their customers, and hence grow their businesses by responding to their needs as they track them on social media to find out their wants and needs. The dialogue is spinning positively. The life business is booming also because it has many passionate leaders. Many life leaders have moved into the space of keeping their policyholders healthy, giving them credits and points and gifts for taking more steps each day or exercising, or just living healthily. Business aside, this is a wider social role that life companies play and it appeals directly to millennials who like to see socially-conscious business entities. They go out of their way to support these companies. Imagine how the world of business is changing in life, where your clients talk you up more than your ad campaigns or marketing strategies ever can. And what a blessing that will be, not just in drawing business, but also in attracting talent into the industry. The healthcare business is a natural link for life companies serious about increasing their slice of the protection pie. There are already several players, including reinsurers, looking at linking retirement and healthcare to help the elderly fund their own old -age healthcare expenses, one of the biggest nightmares of most families with ageing parents and relatives. And in the smart era, there is also telehealth, which insurers can jump into, bearing in mind that the market in the Asia Pacific is growing at 12% annually to reach US$1.8 billion in 2020 in the Asia Pacific region. While retirement planning would appear to be a natural fit for life insurers, companies have been very slow to get into this business, citing regulatory and RBC burdens as a turn-off. Annuities have lost their appeal to insurers, though the public, especially the cash-rich elderly with predatory off-springs eyeing that pile for their own immediate comfort, really want it to shield that wealth. There is a natural pool of clients awaiting the dawn. Lastly, there is the view that life insurers can do more by offering portability of protection from one carrier to another, or even to allow modular purchases. The life business is booming because it does “good” well. A Pollyanna notion you think? In Asia, life is at least two thirds of the insurance pie, and in some markets it even makes up more than 70% of the insurance market. The life business is worth some $2,500 billion and is estimated to increase by a billion dollars a year. So take heart, it is a shining industry, where there are many winners, not just one! On behalf of the organising committee, we are excited to have you here in Hong Kong and welcome you to the 28th Pacific Insurance Conference. 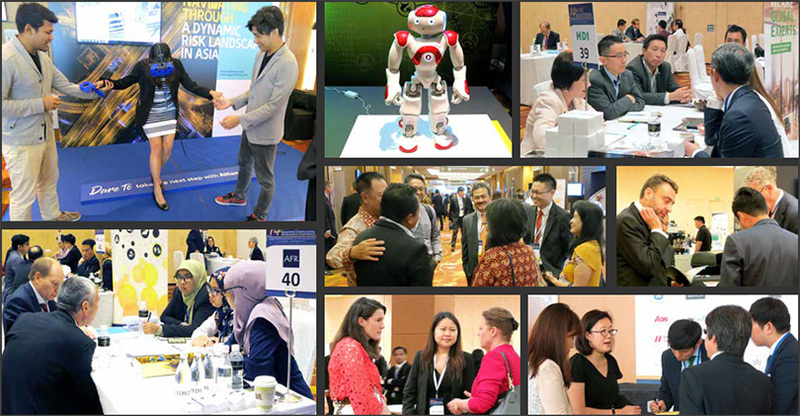 With guests from over 19 countries, this year’s prestigious conference offers networking opportunities and workshops for you to discuss current industry trends and innovations with colleagues from across Asia. We are honoured to host over 35 industry leaders, sharing their expert opinions and experiences with you. During their presentations, they will be exploring the conference theme of ‘’Our world from the outside in’’. We guarantee this central industry event will expand your knowledge, whilst allowing you to share your expertise with like-minded professionals in a way that will revolutionise the industry’s future in this ever-changing climate. In addition to the conference programme, we hope you enjoy the special evening events on offer and discover the excitement of being in Hong Kong, Asia’s World City. We would like to thank you for participating in this year’s event and we look forward to seeing you all throughout the conference. Diabetic patients have traditionally been shunned by underwriters, but things are about to change – if they have not already started. Health2Sync’s proprietary platform empowers patients to manage their condition, while giving insurers a new way to assess risk and offer protection to a demographic previously considered uninsurable, says CEO Ed Deng. Not only is the lack of patient knowledge and data to manage diabetes an exploding problem in Asia, the shortage of diabetes care professionals and the non-existence of a scalable method to effectively manage the chronic disease are compounding issues. Thus, it was based on this premise that Health- 2Sync was founded, said CEO Ed Deng, who explained that it was due to Taiwan’s reputation for having one of the best diabetes care practices in the world that the company chose to set up shop there. Thus, at a time when governments in Asia are seeking proven patient-centric diabetes care across various service lines, such as insurers and care providers, Health2Sync steps in to provide a scalable model of care through automation, as well as analytics for its partners to make informed decisions and to create new products and services. On the consumer side, the platform, which helps track the individual’s blood sugar level and HBA1C, makes diabetes management personalised for each patient. Meanwhile, insurers will have at their disposal a tool that can provide a value-add service in allowing clients to self-manage and reduce claims. But more importantly, the data and analytics that the startup can provide will give the insurance industry the chance to effectively develop products for diabetic customers. “In the past, it was either ‘yes’ or ‘no’; and if you’re diabetic, you couldn’t be insured. But even among patients, different HBA1Cs mean completely different risk levels. So as a result of the data now, there can be new underwriting criteria to make developing covers for diabetes patients viable,” Mr Deng said. He added that Health2Sync has proven clinical efficacy in helping patients reduce, control and lower their variance of blood sugar with active participation. With 150,000 registered users spanning across Taiwan, Japan, Hong Kong, Southeast Asia, and the US, the platform has been able to help high-risk patients reduce blood sugar by an average of 20% after three months of usage. What this implies in insurance is that with the ongoing tracking and analyses of data, a diabetes patient “may or may not actually be more at risk than the average person”. As such, insurers could effectively price premiums more dynamically. Turning back to Taiwan, the technopreneur noted that “only 30% of current long-term chronic disease patients are on some form of long-term care”. This ratio, he mooted, will diminish over time given the increasing prevalence of chronic disease and an ageing population, as government resources decline. Therein lies the market’s pain point – an inevitably depleting government budget. On the flipside, this offers insurers the chance to step up and supplement healthcare needs, and close the protection gap. And the InsurTech’s role is in between patient and insurer: enabling constant engagement with care providers and self-management of condition for the patient, while giving insurance companies the means for proper risk assessment and management in order for them to cover diabetics. launched a pilot with the local Ministry of Health & Welfare to bring diabetes care online nationwide. Separately, it is working not only with Taiwanese players, such as Fubon Life, but also insurers in Hong Kong, Japan and Malaysia, with a focus on employee benefits programmes and individual health cover for diabetics. We speak to both an insurer and reinsurer on how they are pushing the transformation agenda for the industry. Data is key, and will drive the next big thing for life insurance. There is an age-old saying that “insurance is sold, not bought”. There is a fundamental flaw in that belief. Having to push-sell means we haven’t understood our customer’s needs or delivered in the way required of us. Although data holds the potential to create a vastly different model for life insurance, the challenge is to make use of new, non-traditional data sources. There is a theoretically infinite trove of data today – lifestyle, behavioural, social – which will grow with new technology and access to such information continues to increase, assuming the consumer grants permission. Yet much of this currently remains as ‘unstructured data’, its value limited by legacy companies lacking the right capabilities, skillsets and teams. When properly harnessed, data can shed incredible insight into customers’ individual needs, passions and interests – providing valuable information that proxies behaviour and risks. We will be able to create needs-based propositions that address real pain points. Claims will be frictionless; no filling of forms, with minimal or no questions asked. We will go beyond thinking of customers in terms of policy numbers and systems, and instead have a single view of the customer. The industry must evolve to harness insights from data and drive a fundamental change in the way insurance is valued by our customers, or risk obsolescence. Insurance must be “bought, not sold”. As the integration between technology and insurance continues to deepen, we witness even stronger competition than before both from within and outside the industry. In this environment, innovation is key to success. But developing innovative solutions is not enough; speed is of the essence, too. Insurers and reinsurers need to explore new risk pools and innovate in more fundamental ways and faster than in the past. At Swiss Re, we tackle this challenge in our Life & Health Accelerator Group that provides a well-controlled test and learn environment to pilot new solutions and services for our clients. Drawing upon our extensive risk knowledge, deep insight in new technology, and real hands-on execution experience, the accelerator programme is a platform to innovate hand-in-hand with our clients, share the risk, and deliver fast results and tangible solutions to the market. Even though blockchain technology has been around for a number of years, it has not been until recently that we have seen significant interest from financial institutions in the adoption of this technology. Banks have been leading developments in the financial services space, with the insurance industry now rapidly playing catch-up as they start to fully appreciate the potential uses of blockchain technology. 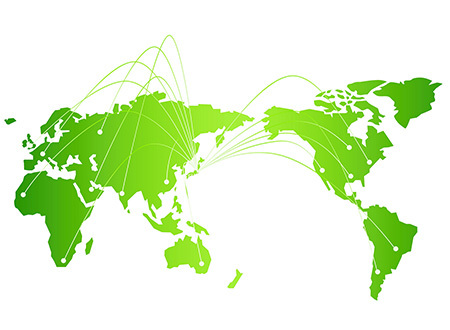 Asia Insurance Review (AIR) has launched Asia Advisers Network (“AAN”), a dedicated online platform to meet the information needs of advisers and agency leaders at www. AsiaAdvisersNetwork.com. This investment is part of AIR’s continuous efforts to serve the insurance industry in the region. Since the successful launch of the annual Asia Trusted Life Agents & Advisers Awards two years ago, the market has called for AIR to play an even more active role in raising the bar and in catering to the information needs of advisers and agency leaders in the region. Hence, in addition to the first-of-itskind Awards, which recognises the very best advisers and leaders in Asia beyond sales production, AIR has now launched AAN to report on the latest industry news, development and expert content through multi-media channels to help advisers stay at the forefront of trends and thrive in the era of FinTech and InsurTech. Reinsurance broking giant Aon Benfield is optimistic that reinsurers will assess any potential rise in rates on a client-to-client basis rather than adopt a global increase in pricing at the 1/1 renewals. In the wake of heavy third quarter CAT losses of approximately US$100 billion – and with 2017 set to be one of the costliest years in the industry’s history of CAT losses – it is almost certain that rates would move. The question is whether it would be a global push or largely confined to the loss-affected areas. Many have cited the differences in the market today compared to post-Katrina in 2005, namely being that (re)insurers now boast much stronger balance sheets as well as the abundant supply of alternative capital available. The ILS market has become a real force in the Nat CAT and retrocession space, and has proved its value following the recent series of catastrophe events. However, market observers wonder how any losses will affect the behavior and strategy of ILS investors moving forward. While conventional wisdom suggests that capital would flow in following a major loss and thus temper price increases, alternative capital providers are now more much more savvy operators and would likely time their re-entry into the market, said Mr Andersen. While recent loss events are dominating the agenda in the reinsurance segment, the search for growth remains an on-going priority for many companies. Moving into 2018, Mr Andersen sees opportunities for Aon Benfield to grow and innovate in three key areas: government liability, corporate liability and rising exposure to emerging risks. While the industry has to embrace change brought about by the technological revolution, Aon Benfield believes that existing players still have the edge over InsurTech firms due to the high level of regulatory requirements in insurance. In its recently launched Global Insurance Market Opportunities report, Aon put forward the concept of ‘open architecture innovation’ as a way for (re)insurers to collaborate with InsurTech firms to bring benefits to all parties. The study highlighted that the fastgrowi ng entrepreneurial InsurTech segment – that has secured approximately $14 billion in investments to date across more than 550 start-ups globally – could be an enabler rather than a disruptor of the traditional insurance model. Established organisations play an important role in open architecture innovation, by collaborating in a framework which has both standards that enable scalable solutions for clients and the flexibility that encourages entrepreneurial innovation. 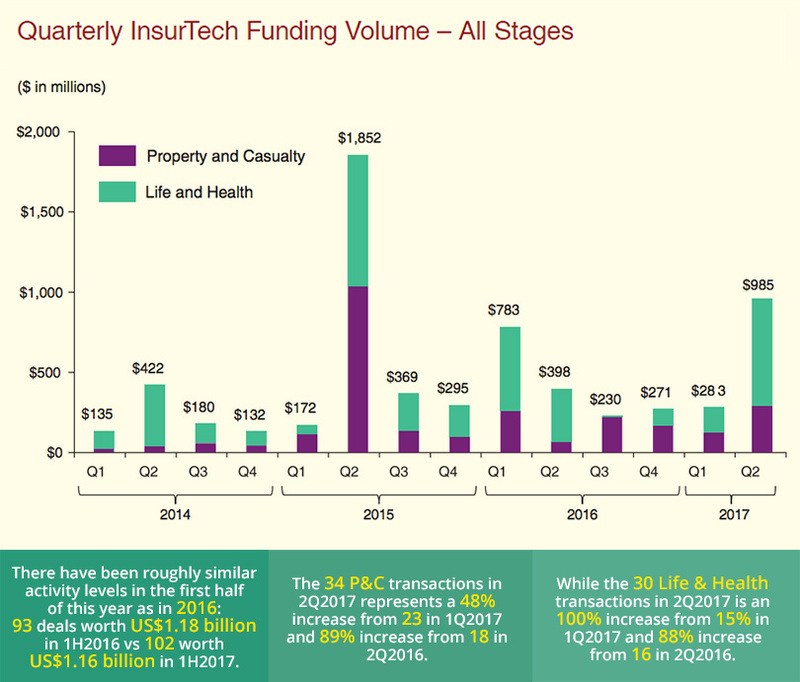 The report also revealed that three of the leading areas where analytics can help with insurance industry growth – cyber risk, casualty catastrophe risk, and pathogen risk – could become increasingly insurable through collaborations with InsurTech companies, and technology and analytics providers, thereby opening up new opportunities for insurers and reinsurers to provide new and enhanced products. In digital transformations, the CEO is even more critical because of the magnitude of change, the degree of disruption, and the power of inertia. Leaders need the ability to sift through an avalanche of digital initiatives, manage accelerating innovation cycles, and reshape the organisation around new approaches, say Messrs Martin Danoesastro, Grant Freeland and Tom Reichert of The Boston Consulting Group (BCG). Established companies need to embrace the innovations that are powering the digital economy. Digital natives such as Uber, Airbnb, and Spotify successfully attacked the taxi, lodging, and music industries by meeting customer needs in new ways and taking advantage of technological innovation. Equally important, these companies have created new operating models and cultures. Incumbents need to learn from the successes of these disruptors and carefully study how they can broadly apply new ways of working, new levels of customer service, and new technology platforms to their own organisation. But companies should take care not to abandon their core strengths and culture. An organisation that has been around for 50 or 100 years or more has enduring and proven qualities that do not just vanish in the digital age. Vision creates intention and establishes direction and ambition. Plans lay out responsibility and deliverables. Vision and plans are both critical requirements in a transformation. But digital transformations require room for course corrections. It is impossible to button up every last detail and identify the transformation’s precise landing place. Leaders need to be adaptive, and articulate a broad strategic outline and the purpose and context for change. But they also need to be open to feedback and be able to course correct. One way to become more adaptive is to perform more frequent reviews. Quarterly business reviews replace annual planning cycles. Course corrections happen weekly or even daily instead of monthly. Companies that have successfully transformed themselves generally participate in broader digital, innovation, and mobile ecosystems. They tap into developments beyond the organisation and let outsiders improve upon their bundle of products and services. In terms of deal making, partnering, and venturing, digital transformations are built on many small, manageable bets. Companies should evaluate dozens of different approaches, investments, and partnerships; pilot or incubate a few; and then build and scale up only the most promising. These exercises need to occur in the context of the overall vision. Companies need to do hundreds of things right to create a digital organisation, but three stand out above the rest. Firstly, how best to ensure momentum and success? 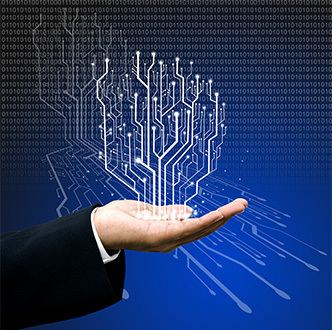 Ideally, the CEO and senior and business line leaders will drive the digital transformation. But for some companies, especially those just beginning the journey, it may make sense to appoint a digital leader who temporarily drives and coordinates all digital activities. The more disruptive the initiative, the more the CEO and digital leader will need to free the organisation from the shackles of legacy and habit. The second issue is the related but broader question of what to centralise and what to decentralise: where will digital resources be located within the organisation and how will they be managed? The “right” answer depends on a complex interplay of forces. Either way, the CEO will need to manage the trade-offs between standardisation and experimentation and create roles and decision rights for digital activities. Finally, leaders must introduce agile ways of working into their organisation. For traditional leaders who rose step by step along a hierarchy, agile can be disorienting. By design, agile teams are fast, cross-functional, experimental, and selfdirected. The role of leaders fundamentally changes in an agile organisation. They need to learn new behaviours and let go of old habits. Leaders in an agile organisation set the context and purpose, ensure alignment, and enable autonomy. Finding the balance between alignment and autonomy is the ultimate test of leadership during a digital transformation. If a digital strategy is only as strong as the organisation that executes it, it is likewise only as effective as the people who execute it. Talent, almost always on a CEO’s short list of top concerns, becomes even more critical during a digital transformation. 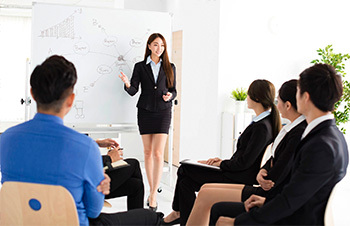 While it may be tempting to staff digital initiatives exclusively with outside hires, a more promising approach is to train current staff in digital capabilities. Hurricanes Harvey, Irma and Maria and the earthquake in Mexico have shown that the narrowing profit margins of non-CAT reinsurance lines are not sustainable. Mr Rene Lamer, Chief Executive, Singapore Branch of Sompo International elaborates. Just prior to the Monte Carlo Rendezvous, the international reinsurance market had surplus capacity in most lines of business and was entering the January renewal negotiations with a confident attitude. However, Mr Rene Lamer, who heads Sompo International’s Singapore branch, pointed out that even with this surplus, some longer tail lines were beginning to show strain, with companies re-underwriting or withdrawing entirely from them. “Certain lines of business were also tightening up, not because of lack of capitalisation, but because margins have become so thin, they are no longer sustainable,” he said. Just a few weeks later however, four hurricanes, the California wildfires and the earthquakes in Mexico, are causing tremendous uncertainty over the magnitude of the losses for the industry and what the impact will be for the global market. According to Mr Lamer, the losses accrued by these catastrophic events are likely to expose inadequate returns across the majority of non-CAT reinsurance lines. Mr Lamer said the reinsurance business lines other than CAT that are showing a poor level of rate adequacy can be divided into two broad groups – general non-CAT short-tail lines and longer tail lines. “It’s not just CAT reinsurance pricing that has declined, it is across the board. We are really beginning to see that the overall price adequacy is lacking,” he said. As the devastation from the recent catastrophes have continued to accumulate losses, it is hard to ignore the impact of global weather trends and the effect it has on the industry and also on agriculture. “From the macro level, economic risk is something we should not forget about, as we’re not out of the woods yet. I think the global economic outlook, while not absolutely terrible, has a long way to go before it will pick up,” he said. In recent weeks, Hurricane Irma has f lown through the northern Caribbean as a Category 5 hurricane, before making landfall in the United States to become the first Category 4 landfall in Florida since 2004 (Hurricane Charley). And Hurricane Maria became the second landfalling Category 5 hurricane in a matter of weeks, when it struck Dominica and grazed St. Croix. 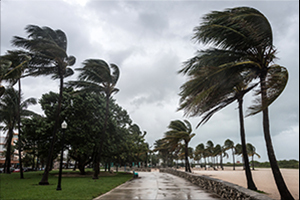 The storm later crossed Puerto Rico as a high-end Category 4 – the strongest storm to hit the island since 1932 – resulting in catastrophic damage and impacts. According to Aon Benfield’s latest Global Catastrophe report the overall financial toll of each storm is expected to reach well into the tens of billions. In each instance, public and private insurers faced payouts considerably exceeding US $10 billion. 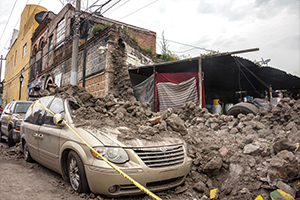 In the same month, Mexico was hit by Tropical Storm Lidia, which killed 20 people when it tracked along Mexico’s Baja Peninsula, and three powerful earthquakes. These included the strongest earthquake of 2017: a magnitude-8.1 event that struck offshore the state of Chiapas, followed by a magnitude-6.2 aftershock, which together killed at least 103 people. A magnitude-7.1 earthquake then struck central Mexico, killing at least 367 people and injuring thousands more. The recent string of disasters ended a 4-year run of benign catastrophe losses, which was accompanied by a cumulative 50% drop in property insurance rates, according to various insurers and brokers. The effect of these series of catastrophes have had on reinsurers are not insignificant. Swiss Re reports a US $3.6 billion in net losses, while XL Group expects their 3rd quarter figures to drop by $1.48 billion. Lloyd’s estimated $4.5 billion in losses for syndicates in the market from Harvey and Irma alone. Mr Mike McGavick, Chief Executive of XL Group, said that while the claims were significant they were within the company’s models and that the size of the claims arising from the hurricane and the Mexican earthquake may well trigger a new approach on pricing across the industry. “In terms of the effects on XL itself, given the specific nature of the events themselves our estimated losses are largely in line with our expectations, and our capital strength and talented teams ensure that we remain positioned to continue solving the risk needs of clients and brokers,” he explained. Mr W. Robert Berkley, Jr., CEO of W.R. Berkley Corporation said “It’s been a very competitive reinsurance market and the big question is what will be the response from the alternative capital segment. We’ll have to see whether this experience will make them pause and reconsider their appetite to take part in the market. “As for the traditional reinsurers, I think it’s a chance to pause and see if they have assessed risk adjusted returns properly.” Whether rate increases will ultimately go through or be sustained remains uncertain because insurers and reinsurers still have plentiful of capital, and more alternative capital is waiting on the sidelines ready to come in if rates rise, several executives said. “Having said that, instead of fretting about the impact of hardened market rates and pricing wars, the industry should take a long-term view to increase protection, and it’s not just selling more policies to individuals, but helping governments and quasi government bodies to build mechanism that support a post-disaster scenario. The following article is based on the just launched ASEAN Insurance Pulse 2017, prepared by Dr. Schanz, Alms & Company and exclusively sponsored by Malaysian Re. Based on in-depth interviews with executives from 35 companies and organisations from 8 different ASEAN countries Dr Kai-Uwe Schanz and Mr Wan Murezani Wan Mohamad summarise the current state and near-term prospects of the ASEAN non-life insurance markets. ASEAN non-life penetration (premiums as a share of GDP) is a mere 1% of the global average, suggesting a massive catch-up potential. 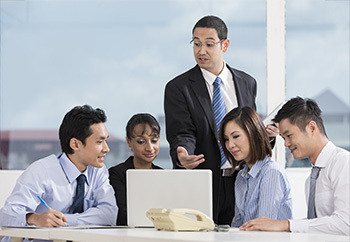 Hence, 69% of executives expect ASEAN non-life premiums to grow in line or faster than the Gross Domestic Product (GDP) over the next twelve months. Only 43% think that premiums will outgrow the economy at large, reflecting relatively lower growth in Malaysia and Thailand. For countries such as Indonesia, the Philippines and Vietnam premium growth is expected to continue outperforming. The ASEAN region’s strong premium growth momentum is perceived to be the most relevant non-life insurance market strength. The second most frequently mentioned strength are the region’s favourable demographics, followed by the quality of existing insurance regulations in certain markets. For most executives, the catch-up potential in terms of the very low insurance penetration is the most attractive medium-term opportunity offered by the regional market place, followed by a rapidly growing middle class with beneficial effects on personal lines business as well as AEC-facilitated cross-border expansion opportunities. Two-thirds of the polled executives state that current rates in commercial lines are below the three-year average. This is a reflection of the global soft market cycle and the abundant supply of reinsurance capacity, exacerbated by country-specific factors such as the de-tariffication of large property business or a slowdown in construction activity. The assessment for personal lines is more favourable, with only 54% considering the current level of rates to be below the three-year average. Personal lines business is generally characterised by a smaller number of players, higher barriers to entry, greater customer loyalty and more scope for non-price competition. The pricing outlook for the next 12 months, however, is challenging, especially for commercial lines business (with 69% expecting lower rates). Competitive pressures continue unabated while the supporting role of tariffs will further reduce. In respect of personal lines business some interviewees point to the feasibility of innovation-based rate increases in personal lines. Yet, 57% expect a continued deterioration of rates over the next 12 months. The pricing outlook for the next 12 months, however, is challenging, especially for commercial lines business – with 69% expecting lower rates. Fifty-one per cent of surveyed executives believe that technical profitability in commercial lines is below the three-year average. Relatively low loss ratios, supported by advances in risk management and low levels of litigiousness, continue to mitigate some of the pressure from eroding rates and rising acquisition expenses. Fifty-four per cent of executives think that technical profitability in personal lines is below the three-year average. Even though pricing pressure is less acute than in commercial lines business, claims inflation is taking a heavy toll on lines such as motor and medical business. Sixty-nine per cent and 43%, respectively, of executives think that technical profitability in commercial and personal lines will remain on a downward trajectory over the next 12 months as the effects from further eroding prices are expected to prevail despite stable and still favourable claims patterns. The outlook for personal lines, however, is more sanguine, as a result of tightening underwriting and cost discipline, a strong inherent premium growth momentum and more scope for profitability-driven risk-based pricing. Sixty-nine per cent of interviewees do not expect the region’s insurance markets to consolidate in the next 12 months. However, in the medium-term, it should become more difficult for domestic insurers to raise the additional capital potentially needed to meet new risk-based capital requirements, adding pressure for M&A. As far as foreign insurers’ market share is concerned, most executives believe that the arrival of new entrants will be offset by some global insurers reducing their footprint in the ASEAN region, resulting in a stable market share over the next 12 months. Dr Kai-Uwe Schanz is Chairman ofDr. Schanz, Alms & Company AG. Mr Wan Murezani Wan Mohamad is Head of Research at MNRB Holdings Berhad. InsurTech is all the rage now, with the likes of Lemonade and its 3 second claim payouts in the US and German company Friendsurance with its P2P concept now conversation-starters even here in Asia. We highlight a few must-know InsurTech names in the region. This online-only insurer probably needs no introduction, after its Hong Kong IPO in September raised about US$1.5 billion. Founded in 2013 by the heads of three prominent Chinese companies – Alibaba, Tencent and Ping An Insurance, two-thirds of its 1,500 strong staff comprise engineers and data scientists, reflecting its tech focus. All four firms compete in the insurance aggregator and comparison tool space. While Policybazaar seems to be leading at this time, it is still early days – all have been promising enough to raise millions of dollars in capital investments in recent months. Founded just this year, PolicyStreet curates a range of insurance policies from the common to the niche, targeting millennials. It has partnered with UForLife, an online insurance company by Tokio Marine Life and Hannover Re, to offer term life insurances. The first fintech firm to graduate from the local regulator’s Fintech Regulatory Sandbox, PolicyPal is a mobile app which allows users to understand, track their existing insurance and buy new policies, in a convenient digital folder with all their insurance coverage. Founder Val Yap’s going places – she was named one of Forbes’ 30 under 30 this year. Headquartered in Singapore since early 2015, GoBear is a comparison site for insurance plans and other financial products. It has since continued to expand in Malaysia, Philippines, Thailand, Indonesia and Vietnam. ARTS provides enterprise software solutions that support the design, pricing and management of index-based Agriculture and Natural Catastrophe insurance, particularly in developing Asia. It has launched a crop platform in India and is now looking at China. This networked claims process enables car drivers involved in a car accident to communicate directly with their insurer, using handheld devices to capture photos or videos with time stamps and GPS and then uploading claim applications through the platform. RegTech: The financial industry’s new best friend? RegTech has become one of the key areas to watch for insurers, says Mr Henri Arslanian, PwC’s FinTech and RegTech Lead for China and Hong Kong. He highlights five things you need to know it. RegTech, short for regulatory technology, is the use of new technologies in the financial services industry to address compliance and regulatory challenges not only more efficiently but also more effectively. There are now numerous RegTech startups globally tackling pain points, from KYC and client on-boarding to compliance monitoring and fraud detection, using some of the latest technologies, from big data analytics to artificial intelligence. 2. Why is the RegTech industry moving so quickly? Unlike traditional FinTech or InsurTech, where there is an element of competition between financial institutions, RegTech is an area in which everyone could win by cooperating. RegTech startups serve almost all B2B offerings and are not aiming to disrupt incumbents but rather to empower them. Thus, incumbents are not feeling threatened but are keen to further explore these new solutions. In addition, many financial institutions, including insurers, may potentially be happy to cooperate with their peers if that would result in substantial cost savings. 3. What challenges are RegTech startups facing? In addition to the traditional problems faced by B2B FinTechs, from long sales cycles to lengthy procurement processes, RegTechs have to manage additional hurdles of increased IT and security approvals as they deal with sensitive areas such as risk or compliance. Another challenge frequently faced by many of these RegTech solution providers is that they are highly dependent on the quality of data provided to them. For example, if the data provided by an insurer is noisy or inaccurate, then the output will not be insightful enough. 4. What do regulators think of RegTech? It will come as no surprise that regulators globally have been encouraging the adoption of RegTech and in many cases becoming clients themselves. Many of these RegTech solutions allow financial institutions to not only streamline their reporting but also to have better oversight of their data. This makes it easier for regulators when they need time-sensitive information from a bank or insurer. In addition, RegTech startups generally do not need to be licensed as they are mainly technology providers, thus making life easier for regulators. 5. What will happen to regulatory and compliance jobs? While RegTech solutions may enable a reduction in headcount in compliance or regulatory roles, they are far from eliminating such roles entirely. Human talent is still needed not only from a governance or policy perspective but also to tackle the more complex cases where judgement and expertise are vital. However, RegTech solutions can address the less risky, high-volume, and time-consuming roles which are costintensive for any financial institution. Who will be crowned Asia’s best? 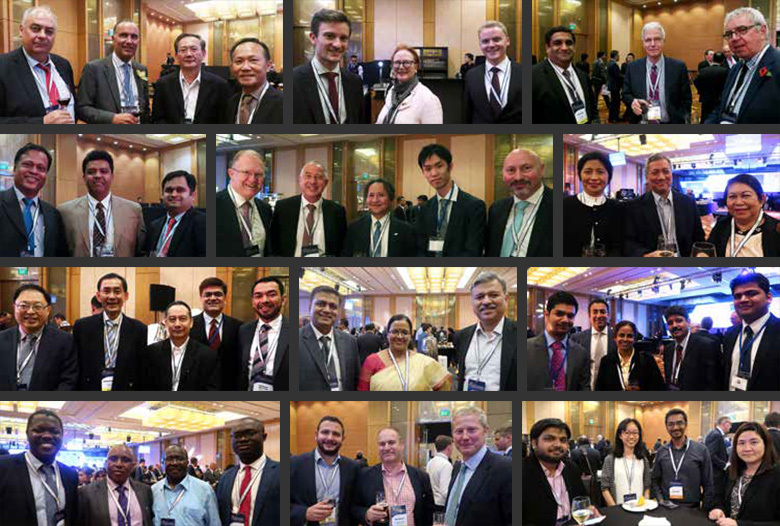 Close to 40 participants from all segments of the industry – including (re)insurers, brokers, service providers, risk managers and leading personalities in the market – made it to the finals of the 21st Asia Insurance Industry Awards (AIIA). These were shortlisted from over 400 entries received during the nomination period. Judges of the Awards met in Singapore to evaluate submissions and voted in a secret ballot. The results were tabulated and audited by independent auditor KPMG, who were also present at the judging proceedings. The winners will be announced tonight at the AIIA gala dinner. Stay tuned! The 14th SIRC welcomed its delegates at the reception cocktail last night, amidst drinks and the best of Singaporean cuisine. Despite the gloomy weather, spirits were high throughout the day, as existing bonds were strengthened and new ones were formed. The cocktail, graciously hosted and co-sponsored by GIC Re, marked the end of a successful first day of SIRC, where the international (re)insurance community came out in full force. Singapore has pledged to fully fund the upfront cost of local CAT bond issuances from 1 January 2018 through a newly-formed ILS grant scheme, as the city-state seeks to carve out a prominent role in the US$30 billion global catastrophe bond market. Minister for Trade & Industry (Trade) Lim Hng Kiang announced this in his keynote address to open the 14th Singapore International Reinsurance Conference (SIRC) yesterday. Mr Lim, who is also Deputy Chairman of the Monetary Authority of Singapore (MAS), said the grant programme will be applicable to ILS bonds covering all forms of risks beyond just natural catastrophe. “On the supply side, we too have seen healthy interest from Asia-Pacific issuers in the development of an APAC market for catastrophe bond issuances, due to the proximity to and better understanding of the underlying risks,” he said. As part of its alternative risk transfer strategy, the MAS also announced the formation of a Singapore-based infrastructure consortium to provide insurance solutions for risks arising from China’s One Belt One Road (OBOR) initiative. The OBOR insurance consortium, which will be administered by China Re Singapore, will bring together Singapore-based insurers, reinsurers and brokers to provide capacity and risk management services for OBOR projects. The consortium will pilot with two lines of business: construction and project cargo & liability. “We have established a group of interested lead and follow markets in Singapore to offer coverage in these two lines. The markets comprise leading insurers, reinsurers and Lloyd’s syndicates operating in Singapore, and we look forward to the industry’s active participation in this bold venture,” said Mr Lim. In recent years, Singapore has strengthened its position as a leading specialty (re)insurance hub in Asia – its share of offshore non-life as a proportion of total non-life premiums rising steadily from 60% in 2010 to almost 70% in 2016. Singapore’s share of global Asia-Pacific originated reinsurance premiums has also risen from 3% in 2013 to approximately 10% in 2016. 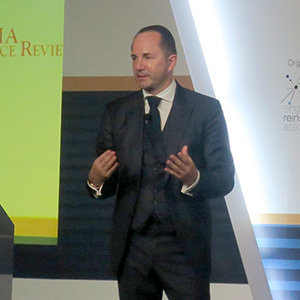 Reinsurers need to explore new partnerships to face the powerful forces of digital technology, climate change and protectionism, said Mr Ulrich Wallin, CEO of Hannover Re in his industry keynote address. “No one actor alone is capable of addressing the new normal. The insurance industry needs to develop new responses and new strategies for the new realities that are emerging globally, said Mr Wallin. Noting that the global insurance market is currently around 20 times of the reinsurance market, he said this indicates the potential that can be exploited. The industry is adopting InsurTech and this should make the whole scheme of things including underwriting, broking and claim processing much more efficient. He, however, cautioned that governance needs improvement so that the balance between the risks and benefits of new technological innovations is maintained. Speaking about emerging technologies like AI and robotics, 3D engineering, geoengineering and biotechnology, Mr Wallin said they are changing the global risk landscape dramatically. He called upon the reinsurance industry to be prepared to face risks like cyber-attacks, data fraud and theft, lack of governance and above all, unemployment, due to these disruptions. Very often, regulatory changes dictate the relationship between reinsurers and cedents, hence the industry needs to explore developing more sophisticated and risk-based regulatory frameworks. This will help in forging new partnerships for socio-economic resilience, said Mr Wallin. L-R: Mr James Nash, Mrs Doina Palici-Chehab, Ms Jayne Plunkett, Mr Hermann Pohlchristoph and Mrs Alice Vaidyan. At the high-level executive panel yesterday morning, five members of the industry totaling 125 years of combined experience spoke on the more difficult issues plaguing (re)insurers today, given the theme of Responsibilities and Opportunities in the New World Disorder. From geopolitical risks to lagging in innovation and narrowing profit margins, the insurance industry is currently in difficult waters as Mr Hermann Pohlchristoph, Member of the Board of Management, Munich Re, puts it. “The industry has been a bit too traditional for too long, but there has been a recent wake-up call. We are starting to see more activity on the innovation front recently and [Munich Re] have been looking at tackling emerging risks brought along by the rise of technology,” he said. Given the uncertain state of global politics today, especially in the controversial figure of US President Donald Trump and the rise of protectionism, geopolitical risk only exacerbates interconnected risk, which can be easily seen in the supply chain disruption risks, said Ms Jayne Plunkett, Regional President Asia at Swiss Re. However she is not buying into the doom and gloom mindset. This mindset highlights the responsibility the industry has in helping society grow and evolve, especially in emerging markets and developing nations. Ms Alice Vaidyan, Chairman & Managing Director of GIC Re, brought up the huge protection gap that exists in her native India, and what is currently being done to close that gap. “We do not operate as a typical public reinsurer, and have more freedom to operate as we wish,” she said. This gives them the ability to develop new products and solutions for their cedants to fit the needs of the under-protected. This innovative freedom carries over into the rest of India’s insurance industry. “New products and innovations brought into the Indian market are unique and unparalleled,” she added. While Asia is not homogenous and each market has its own quirks, the speed at which India’s insurers innovate is emblematic of the entire region’s rapid growth. Does the rise of Asia signal a decline of the West? Yes and no… yes, in the sense that if you take the total world economy as 100%, if one part of the world increases in percentage, obviously the other part would decrease. Now, that is not necessarily a decline – the world economy continues to grow as it has done. And basically, there’s no country in the world, especially in the advanced economies, where we have seen an actual decline in the GDP per capita income, not even in the short term. So yes, in relative terms, and no, in absolute terms. Speed, scalability and simplicity – an Asian recipe? She also pointed out that Chinese insurers, such as Zhong An, set an example for European and American incumbents on the importance of flexibility and agility, and that the industry has been too oldfashioned for too long. Mr James Nash, President, International Division, Guy Carpenter, agreed with the sentiment, saying that the industry needs to learn from the speed of change in Asia, such as embedding products into technology or other non-insurance products, while keeping it simple for the consumer. From an operational perspective, Ms Plunkett said that the movement of people into the region is necessary in order for them to truly understand the Asian markets. “It moves so fast that if you blink, it changes,” she said. The subject of pricing and profitability was also raised, with Mr Pohlchristoph saying that the pricing of risks over the past few years have not been correct. Ms Vaidyan said that the reinsurance industry also needs to properly value the role of reinsurance, with some support from brokers and insurers. However, that would require reinsurers to seriously look at how they approach accounts. The panel was chaired by Professor Helmutt Schuette of INSEAD and CEIBS. A hive of activity – and serious discussions! SIRC 2017 has drawn close to 1000 participants from 50 countries, who began descending upon Marina Bay Sands in droves from Tuesday morning. The Lloyd’s coffee house threw open its doors for a lively hubbub of handshakes and hellos, serious negotiations, and those just seeking their cup of joe to see them through the long day ahead. There were designated “meeting points’ set up by the organisers, but everywhere served as a meet-ing point, it seemed. The long hallway with booths of reinsurers, brokers and service providers vied for every passerby’s attention, and the most attention seeking wasn’t even human! One geospatial firm dangled a drone as a prize for anyone who could guess as correctly as possible the number of vehicles destroyed in the 2015 Tianjin disaster, while Swiss Re’s IBM Watsonpowered robot won countless hearts by at times doing a little jig, or even performing the Chinese traditional Tai Chi martial art, all while answering the questions it was peppered with to the best of its AI-enabled ability. Meanwhile, one delegate was overheard squealing at one of the virtual reality simulations – which was so real that she had to be coaxed, reassured by the comfort of a guiding hand, to “step off” the edge of a building. More squeals ensued, but we assure you that the delegate found herself safely on level ground. We captured some of the buzz that was generated along the hallway and meeting rooms of the 14th SIRC. The insurance industry does not figure on any list of preferred employers. We speak to different stakeholders on how to win talent, especially the millennials, over. A recent survey by SurveyMonkey in collaboration with Fortune magazine about the kind of companies one would like to work with showed that millennials, given a choice, would like to work for technology companies. No (re) insurance company figured in the choice of millennials. The insurance industry faces a tough challenge - how does it get innovative and tech-savvy people, especially the millennials, to join the industry? Most of the companies featured in the survey are leaders in their own fields and work at the cutting edge of technology, are devoted to innovation and are quick in adapting to changing consumer demands; besides of course offering innovative employee benefits. Hence, the millennials see these companies as the ones that can provide them the most satisfying career. The insurance industry does a lots of social good besides being a rainy day friend yet fails to let it be known to people at large. “The key to getting more youngsters into the industry also lies in looking at what their motivations are,” said Professor Himanshu Rai of the Indian Institute of Management, Lucknow. Generally, millennials want to ‘hit the ground running’. Hence, it would be better to have new employees who are ‘insurance-ready’ and this can be achieved through collaboration between insurance industry and academics. Some would call it destiny others would term it the call of family legacy. Mr Rohit Atul Boda, a millennial, wanted to pursue a course in music in London and chart out a career in music after his graduation. The young millennial, however, joined his illustrious father Mr Atul Boda in insurance broking in 2010. Floods are one of the most devastating natural disasters, affecting populations across the world. In Asia in August, heavy floods hit Nepal and India, causing landslides and taking the lives of at least 250 people. The economic cost were not even known at the time of writing. The tragic floods showed again that too much water literally swipes away lives and whole economies - especially if so many are not insured. So what needs to be done to close the US$50 billion protection gap in not insured nat cat protection around the globe - of which a large part is in Asia? In 2016, São Paulo, Houston, parts of Germany, France, Belgium, Romania, the Netherlands, the UK, Oklahoma, Maryland and Louisiana were under water. So far in 2017, Southern Thailand, India, Peru and Quebec have all been flooded. This incomplete list highlights how often floods hit. Climate Central has analysed the effects of the expected sea level rise across the globe. The result: by the end of the century, up to 650 million people will live below sea level or in areas affected by regular flooding. This not only puts the lives of coastal populations at risk, but could also destroy port cities in many countries. As the “Mind the risk” study by Swiss Re shows, this would mean the loss of major economic drivers, with potentially devastating effects on entire countries. This is because the economic centres of many countries were built on floodplains. In Asia cities heavily at risk include Tokyo, Hong Kong, Bangkok. Jakarta and Mumbai. To avoid human and economic disaster in the future, we must prepare now. Model - protect - insure - repeat! If you want to prepare, you need to know the lay of the land. The modelling of flood events can be a key factor in this. Finding out where you might be exposed to this risk is easy with Swiss Re’s unique global flood and storm surge model. And as it’s integrated into Swiss Re CatNet®, the information you need is only a click away. Next, you have to decide how to prepare. This raises the difficult question of where to invest in installations or processes to minimise damage. This is where the report of the Economics of Climate Adaptation Working Group comes into play. It offers a toolset that can help in making these decisions. For some measures, the trade-offs are simple. In agriculture, for example, you might replace regular plants with alternatives that produce less grain but can withstand floods. Investments in floodgates or dykes, on the other hand, must be carefully evaluated to make sure that money is invested in the most effective prevention measures. But even the best protection can only do so much. Once land and businesses have been flooded, you also need some way of helping people back on their feet. With its modelling capacities, Event Correlation and Analysis methods, Swiss Re can help you design an insurance programme that helps with reconstruction while being affordable for all. If we act now, we will be better equipped to prevent damage from the increasingly common and heavy floods and storms we expect to see in the future. If we act now, we will be better equipped to prevent damage from the increasingly common and heavy f loods and storms we expect to see in the future. A lot is at stake, as the Swiss Re sigma estimate for 2016 shows. Flood-related economic losses amounted to $30 billion in 2016. Closing the $50 billion global protection gap by insuring currently uninsured is one key step to make us more resilient. If the insurance sector, the wider financial sector, industry, governments and all other stakeholders work together, we will achieve the goal to have insurance against flood to be in place for all. The benefits are clear: no disruption to economies, safe homes and growth for everybody. Protectionist tendencies are rising globally and the insurance industry is not excluded. Globalisation will however prevail as emerging markets gain more prominence in the global economic pecking order. The line connecting yesterday with today and today with tomorrow is never a straight one. There are always ups and downs, climbs and slides, as the story of every human activity, including insurance keeps unfolding. The global insurance industry has witnessed creeping protectionism in recent times, with Swiss Re’s latest SONAR report on emerging risks highlighting reduced markets access as one of the top six emerging trends the (re)insurance industry should have on its radar. The report said that the use of regulation to control capital flows and encourage protectionism could eventually undermine the business models of international corporations. In BlackRock’s sixth annual global survey of 300 senior insurance executives in 2017, 71% of respondents said geopolitical risk, which encompasses worries over populism, protectionism and regional tensions, is now seen as one of the most serious macro risks the industry faces; this is up from 51% in 2016. APAC data showed an even bigger jump in citing geopolitical risk as the most serious risk, up from 52% in 2016 to 77% this year. A major concern among global reinsurers is the growing protectionist tendencies in the developed markets. It is more worrying as these markets were the architects of liberal frameworks, which helped in globalisation of reinsurance. The global risk landscape is undergoing rapid transformation. While on one hand the incidences of catastrophic events are increasing, on the other, the geopolitical uncertainties are also intensifying. Whether BREXIT in Britain or Make America Great Again theme in the US, how the global (re)insurance industry can brace for changes and mitigate the potential impact of these protectionist tendencies remains a question. How can the global (re)insurance industry brace for changes and mitigate the potential impact of these protectionist tendencies? Protectionist policies lead to lower insurance availability and potentially at higher prices. Insurance penetration too goes down, and consequently a potential widening of the protection gap and detrimental impact to the wider economy in the event of a catastrophe. By acting as an insurer to primary insurance companies, reinsurers extend protection to a broad range of risks, including those otherwise uninsurable. In doing so, they support social resilience, economic growth, and development. If barriers are imposed on transfer of risks, a larger portion of catastrophic losses will have to be borne by the respective markets themselves. Even as it seems that the world is facing a backlash against globalisation, economic openness is still high on the agenda in Asia with China’s “Belt & Road” initiative and ASEAN’s vision of regional economic integration through the AEC. The markets that are relatively barrier-free stand to gain by diversification and crossborder reinsurance arrangements, which soften the impact of catastrophic events on the local insurance markets. In the New Zealand Christchurch earthquakes of 2010-11, direct economic losses were estimated to be US$32 billion, although almost 80% of this was covered by (re)insurance. Of the two-thirds of the claims, 95% were paid out by foreign reinsurers. This corresponded to nearly 10% of New Zealand’s GDP. Had there been barriers to cross-border reinsurance, recovery would have been a long-drawn process and New Zealand would have seen a prolonged period of lower rate of growth. Perhaps a new era of globalisation is upon us with the engines of globalisation being powered by emerging economies. And the (re)insurance industry has to be ready to seize the opportunities that the next wave of globalisation - underpinned by technology - stands to offer. 2017 has seen its fair share of major disasters, with Hurricanes Harvey, Irma and Maria, and two earthquakes in Mexico possibly taking top spots as the costliest Nat CATs this year. Total insured market losses from the slew of events in August and September is estimated at US$95 billion, according to Swiss Re. Closer to home, we round up the most significant disasters - in terms of economic losses - that Asia has seen thus far. The Asia-Pacific region experiences more natural disasters annually than anywhere else in the world. However, compared to recent years, RMS Analyst Simon Athawes noted the size of insured losses so far in 2017 is likely to be moderate in the region. The most destructive earthquake of the year remains a magnitude 6.5 event in August that impacted the Sichuan-Gansu border region in China, which damaged 100,000 buildings. 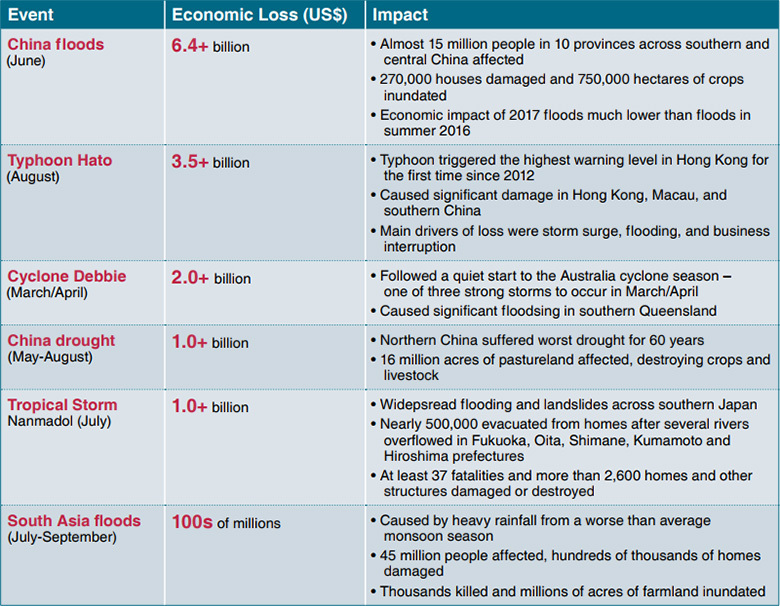 There have been few major tropical cyclone impacts, with Typhoon Hato and Cyclone Debbie the notable exceptions. Conditions for storms forming and persisting across the Pacific and Indian Oceans were unfavourable. Flooding remains the most damaging peril to the Asia-Pacific region, with monsoon rainfall bringing devastating floods to parts of China and South Asia during the middle of 2017. However, despite the low expected insured losses accrued in Asia so far this year, the scale and impact of disaster events remains huge, affecting tens of millions of people, damaging hundreds of thousands of homes and businesses, and destroying vast areas of agricultural land. Those countries impacted will see long-lasting effects. With two months of the year remaining, Mr Simon Athawes said it’s still too soon for (re)insurers across the region to feel it’s been a good 2017. Asia’s insurance industry celebrated its very best at the 21st Asia Insurance Industry Awards gala dinner held last night, honouring 16 winners sweeping titles in 15 categories. The Life Insurance Company of the Year award went to Muang Thai Life Assurance PCL in recognition of its customer-centric approach, while the General Insurance Company of the Year award went to Apollo Munich Health Insurance Co Ltd for its product innovations. Willis Towers Watson took home the Broker of the Year award for its cyber tool, while Aon Benfield won the Reinsurance Broker of the Year, having demonstrated effective use of proprietary data and analytics. Lloyd’s Asia, a newcomer candidate, stunned the competition to garner the General Reinsurer of the Year award, while RGA won Life Reinsurer of the Year. The exciting newly-introduced Digital Insurer of the Year title was shared between Cathay Life Insurance Co Ltd and Bajaj Allianz General Insurance Company for their advanced use of digital strategies. The latter also clinched the Technology Initiative of the Year Award for its game-changing telematics solution. Also winning accolades for its solutions was Metlife Asia, whose Innovation of the Year is a virtual reality service platform that provides a quantum leap for customer convenience. Service Provider of the Year winner Medix Global was lauded for its unique service models that make quality healthcare accessible to insureds across the globe, while the Australian and New Zealand Institute of Insurance and Finance added yet another trophy to its collection of Educational Service Provider of the Year awards. Meanwhile, Allianz Ayudhya Assurance PCL won the Corporate Social Responsibility Award for its efforts in helping underprivileged children in Thailand. For individual honours, the Lifetime Achievement Award was bestowed on industry veteran Mr Mark Tucker, with his immense achievements at AIA and Prudential during the course of his career. The Personality of the Year award went to Mr Chris Wei of Aviva, who is widely known for being a leading proponent of digital insurance. Mr Roland Teo of Eastern Health Alliance was this year’s Corporate Risk Manager of the Year. The winners were selected from a shortlist of some 40 finalists and were judged by a panel of 23 luminaries from the industry. Congratulations to all! Sounding a prophetic message of doom and gloom for the insurance industry with the advent and rapid progress of InsurTech, Mr Peter Hacker, Co-Founder & Partner, Distinction.Global, InsurTech opinion leader and author, gave insurers a wakeup call urging them to adapt and evolve or perish. Technology and automation, he said, are moving at a pace that humans cannot match. “Disruption in the insurance and reinsurance industry has become the new normal. Anything that cannot be automated will be extremely valuable in the future,” he said, in a special keynote address yesterday at the SIRC. He mentioned here that creativity, intuition, emotion and ethics will be of immense value in the future. Mr Hacker pointed out that, today, market capitalisation is driven by intangible assets. He said that while the conventional property and casualty risks will remain, the future will be dominated by mobility and intangible assets. “From an insurer’s point of view there are huge opportunities because as the more the risk becomes intangible, the higher will be its severity,” he added. He said Asia is now at a stage where digitisation and online models are disrupting conventional business models. Three trends driving this revolution are the galloping growth of mobile devices, rising popularity of social media and wider acceptance of online commerce. Asia, which is home to 60% of the global population, has 2.3 billion mobile subscribers, who form 58% of the total global subscriber base . Furthermore, it is the Asian mobile phone giants like Sony, Huawei and Samsung that have a combined 70% share of the global smart phone market. “There is a huge opportunity for insurers here to develop covers for the intangible risks of these companies against cyber risk threats,” said Mr Hacker. He highlighted that the ‘Want’ vs ‘Fang’ (Facebook, Amazon, Netflix and Google) race has just started where billions of people are connected to the Web and disruptions will happen in unprecedented waves. “The era of disruptive automation and digitisation is fast approaching and millions of jobs are at risk,” he said. He mentioned a recent report by the ILO which said that 56% of all salaried jobs in countries like Cambodia, Indonesia, Philippines, Thailand and Vietnam could be replaced by automation and advanced technologies like 3D printing. Insurers and reinsurers will have their “Tesla” moment and for this, they need to adapt to the changes. “The industry will have to embrace InsurTech by working together with it and you can have your 'Tesla' moment, and I believe that we are at the beginning of a new age of insurance,” said Mr Hacker. He called upon the industry to be at the forefront and not on the back foot by taking data driven decisions, re-skilling and being innovative. The insurance industry must focus on data analytics as well as hone skills and develop talent and leadership within the organisation. “This will require industry-wide collaboration, capital market backing and governmental support,” he said. 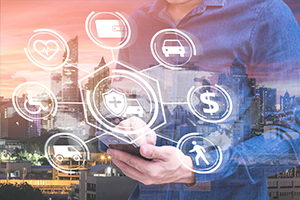 New models of reinsurers and insurers will emerge in the not too distant future, with the lines between them blurring as interconnectedness grows both within the insurance sector and outside it, said speakers at a panel discussion held at the SIRC yesterday. Another panelist, Mr Anthony Hobrow, CEO of consultancy NexAssure Group, expressed optimism that the business pie in this new environment is not shrinking, but will instead continue to grow. The trend is one of merely shifting the balance of growth from the West to the Africa and Asia, where insurance penetration is low and the industry has a less strong presence. “Risks are increasing, they are also just getting more technical,” he added. 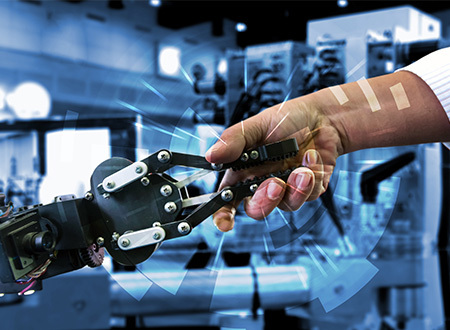 A fundamental shift that the industry will need to get used to is that the focus of insurance, such as motor, will shift from human error to machine error and technology-focused people will be the ones driving change, said Mr Hobrow. For instance, in motor, insurance will shift from driver to manufacturer. Operations, processes and legal contracts will be automated, and insurance wordings will be prepared via artificial intelligence. He noted that in tandem, the skill base that is required within an insurance organisation will shift enormously too--and not just at a junior level. ‘How many people in the boardroom really understand blockchain?” he asked, citing the challenges. The exponential increase in data being collected means that there is a need to build talent in the Big Data domain, said Ms Natasha K Mak-Levrion, Founder and Managing Director of PPEARL Consulting, who was also a panel speaker. She said that the (re)insurance industry will be looking out for computational thinking skills to make meaning of such vast amounts of data efficiently, with a view to shift “from insight to foresight”. The workforce will also shift from a mainly transactional nature to advisory functions, where the opportunities will be much greater. “Providing solutions, not just products, will be the key differentiator,” she said. She added that the industry needs too to look at the needs of the millennial generation, including their need for speed and work-life balance. Other speakers including Mr Marc Haushofer, Chairman of Singapore Reinsurers’ Association, held the view that the industry needed to diversify not just by recruiting young people, but also those who are not too close to the business of insurance. “They should ask questions that we as insiders, would not. It’s really important that we learn to reduce the tradition of hierarchy, and bring in people who will challenge us,” he said. As an insurance insider on the panel, Mr Paul Mang, Global CEO of Analytics at Aon, shared Ms Levrion’s view that advisory would rise, and that would apply to brokers too. Going forward, they would play the role of trusted advisors structuring solutions, not just making placements. Still, this would build upon their traditional role of bringing together capital and exposure, which would still exist. He added that emerging risks are complicated and may require new partnerships to be formed among insurers. As urbanisation and development progress, Mr Mang said that the concepts of not just risks, but also volatility are changing, and so are people’s expectations of what is tolerable to them. Margins of error are narrowing, while people also expect to live healthy and productive lives well into their 60s and 70s. 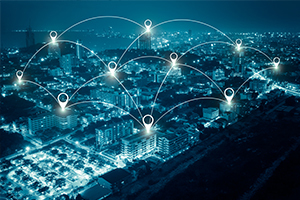 The nature of interconnectedness has also led to new complexities and the need for analytics and new capabilities to address them. Mr Kesselman cited the example of Uber, which had found it challenging to find an insurance industry player willing to offer a solution adapted to its business model until it finally found a partner in Aon. He said that the (re)insurance industry needs to change its mindset. It should not just look into selling products off-the-shelf, but should enter into partnerships and new collaborations in order to address new emerging fundamental risks. He noted, however, that there will be an optimisation phase first in the coming years where manual processes would take time to move to digital ones, so that the efficiencies that the industry has to offer could be ‘unlocked’ as the sector makes a significant ”step change” to such an era. The panel discussion was moderated by Mr Peter Hacker. The three-day 14th SIRC ended yesterday. With the SIRC turned into an annual event from this year and next taking place from 30 October - 1 November 2018, the East Asian Insurance Congress will be held in Manila from 6–9 May 2018 instead of its customary calendar slot late in the year. Already miss the buzz and vibe of SIRC? Missed out on the biggest reinsurance event of the year? 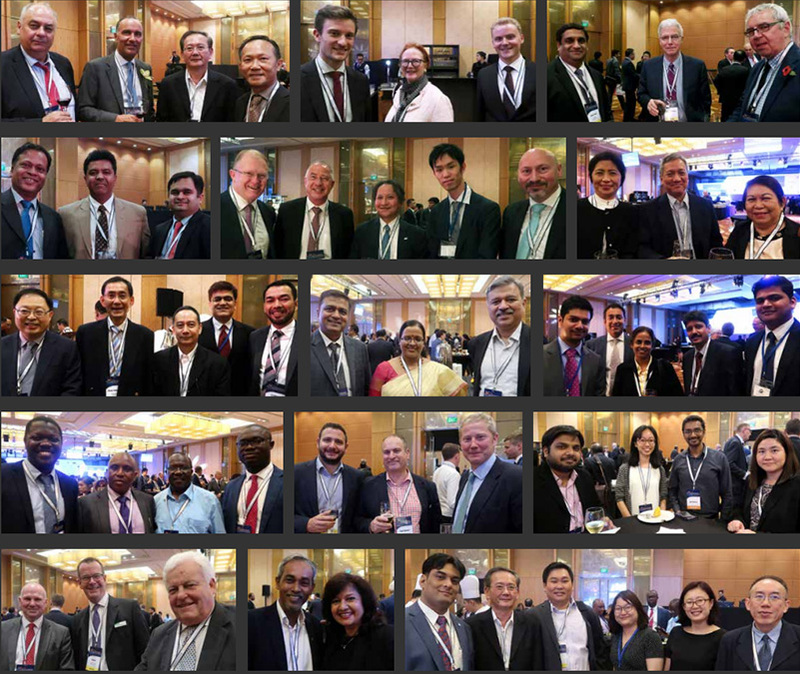 Check out the highlights of #14SIRC and we’ll see you again soon.